In 2019 we’ll meet Marvel’s most powerful hero yet: Captain Marvel. 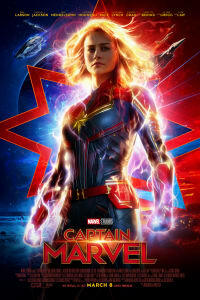 Brie Larson stars in the March 8, 2019 release, as a military pilot who finds a new role in a galactic peacekeeping force. 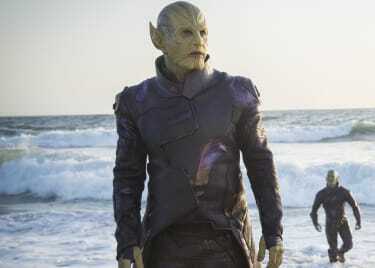 This MCU adventure will see Earth caught up in a millennia-old war between the alien Skrull and Kree races. Captain Marvel’s debut was teased in the post-credits scene of Avengers: Infinity War, the blockbuster hit that celebrated the 10-year anniversary of the MCU. We’re already primed to expect a lot from the hero, but what does that really mean for the 21st film in the Marvel Cinematic Universe? Here’s how Captain Marvel will transform the MCU, and everything we expect to change after the film’s release. In the comics, Captain Marvel is a tremendous physical powerhouse who can manipulate energy. Her so-called “Binary Mode” allows her access to the raw power of the stars themselves. It looks as though the MCU version will be even more powerful, with Kevin Feige describing her as their strongest hero yet by a long shot. Larson herself has made throwaway comments about her character being able to move planets. While she may have been exaggerating, one thing is abundantly clear; the MCU has never had anyone quite like Captain Marvel. 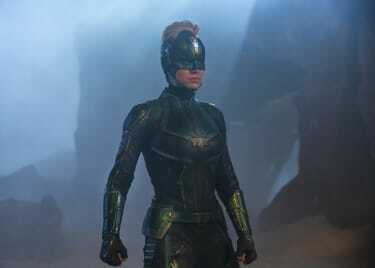 It’s currently unclear where Captain Marvel has been between her solo movie and the last decade’s worth of MCU history. But she’s confirmed to appear in Avengers 4, as we know from promotional art for the film. It looks as though Captain Marvel could play a big part in Thanos’s defeat. If that’s the case, then presumably she’s also being set up to play a key role in the MCU after Avengers 4, as well. And with Captain Marvel as our gateway to the conflict between the Kree (a race we met in Guardians of the Galaxy) and the shape-shifting Skrulls, a whole new set of cosmic stories will open to the MCU. Until Phase 3, Marvel movies usually tended to run in sequence. Iron Man 3, for example, takes place a few months after The Avengers; Ant-Man is set after the events of Avengers: Age of Ultron. All that has changed in Phase 3, with films like Ant-Man and the Wasp, released after Avengers: Infinity War, going back to exploring the impact of Captain America: Civil War. Captain Marvel takes a bigger step back. It is set way back in the 1990s. The story will reveal a previously-unseen part of the MCU’s history, with Nick Fury and Agent Coulson on hand for their first encounter with aliens. That’s a thrilling prospect, not least because it adds a new wrinkle to Fury’s story. There’s growing evidence that Fury will be particularly important in Phase 4, with Avengers: Infinity War revealing that he’s now a field operative for an unknown organization. Could that be a reinvigorated S.H.I.E.L.D.? It looks as though Fury is being set up to return in a big way, and there’s strong evidence he will also appear in Spider-Man: Far From Home. There’s another key reason Captain Marvel matters. She’s the first female superhero to headline her own movie in the MCU; even Wasp only got co-star billing. Until last year, many key players in Hollywood had claimed that female superhero films wouldn’t work; as evidence they pointed to less successful films like Elektra and Catwoman. But Wonder Woman shattered the glass ceiling for female superheroes, proving female superheroes can easily topline films. Marvel seems to have recognized that truth. The studio is beginning to develop more movies centered on women, with a Black Widow movie currently in pre-production. Kevin Feige has even hinted that he believes there’ll be a time when the gender balance among the MCU’s A-list heroes is 50/50. 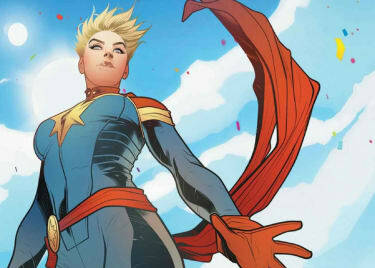 Marvel’s push begins with Captain Marvel. It’s not an exaggeration to call Captain Marvel one of Marvel’s most important films to date. The movie is a first glimpse of the MCU of tomorrow; a rich and diverse world in which Captain Marvel stands front and center.